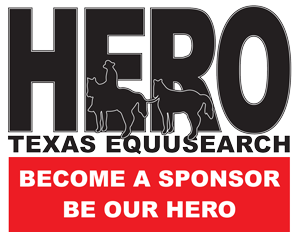 George Breaux, his family, and a large group of their friends honored all members of the Texas EquuSearch organization in Houston, Texas on Sunday – September 29th 2013. The family; and their friends hosted the event to pay tribute to our members … after they rescued 74 year-old George Breaux from the waters of a very large and dangerous sand pit. George had been missing for about six hours before Texas EquuSearch was notified that he had disappeared. The Texas EquuSearch team quickly arrived at the place where George was last known to have been seen, and located him alive within just a few minutes of the first team beginning their search assignment. George was in urgent need of medical attention, and some meticulous rescue operations were necessary to safely remove him from sand pit. George has since been reunited with his loving family and friends, and they celebrate each day for his successful recue. The festivities at the Oakton Place Banquet Hall included a wide selection of delicious foods and deserts. Our team members got to talk with George and see that he is a kind and gentle man that is cherished by all of his family. Though we all were very happy about the special honor being bestowed upon our team for finding and rescuing George; we were much happier that George was alive, and able to celebrate his survival with his loving family, his friends – and our team. The Texas EquuSearch family grew a little larger that day. Welcome back home, George. On Friday – September 13th 2013, Texas EquuSearch was contacted by a very worried family after one of their 74 year-old family member’s, George Breaux suddenly and inexplicably disappeared. Texas EquuSearch quickly started a search for George, and he was found alive just a few moments later in a very deep sandpit – whose permanent residents are venomous snakes, alligators, wild pigs and other wildlife. Though alive; George was in serious need of medical attention. TES Search Coordinators Jerry Borrer and Alvin Tipps kept calm, and worked hard to secure George from slipping deeper into the dangerous waters. Paramedics and police soon arrived to assist Jerry and Alvin in trying to save George. The rescue of George was a total success, and he is now recovering back home with his loving family. George and his thankful family want to show their sincere appreciation, and honor ALL of the members of the Texas EquuSearch organization for everything we do to find missing persons. The family will be hosting a catered event at the Oakton Place Reception Hall on Sunday – September 29th 2013 at 2:30 p.m. The Oakton Place Reception Hall is located at 5011 Griggs Rd. in Houston, Texas 77021. This location is about two blocks west of MLK Blvd. All Texas EquuSearch members are encouraged to attend if possible. Arrangements for meals and seating and other preparations need to be made as soon as possible, so if you will be attending this event; please text or call Jan Tipps no later than Wednesday – September 25th 2013. Jan Tipps cell phone number is (281) 639-1096. Thank you all for what you do. After learning of the concerning circumstances; the Texas EquuSearch Coordinator immediately issued a call-out to all of our members, and began the urgent search for George. 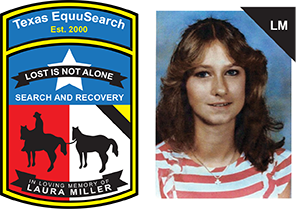 Less than four minutes after receiving his assignment to search a nearby sandpit a few blocks from Almeda Mall; Texas EquuSearch Team Leader Jerry Borrer contacted the Search Coordinator and informed him that he had found George. George was alive, but in need of emergency medical care. George was breathing, but unresponsive. Jerry Borrer used a rope to repel down the steep banks of the sandpits to tie a safety line onto George, and secure him to ensure that George would not slip deeper into the murky waters of the dangerous sandpit. Alvin Tipps had secured the other end of the rope to tightly tie-off onto his ATV. Texas EquuSearch Copyright © 2019.